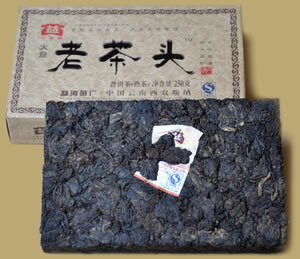 Cha Tou a type of Pu-erh tea nugget. In order to convert sun-dried green tea into ripened Pu-erh tea, a technique called "wodui" processing method is adopted (mixing the pile to ensure fermentation). At the end of the fermentation process, the tea is converted into a wind-blowing appearance. 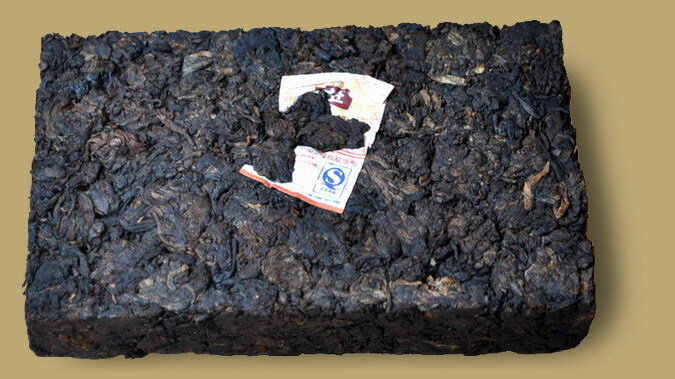 The Cha Tou is found near the bottom of the pile of Pu-erh and is formed as a result of heat and relatively high compression. 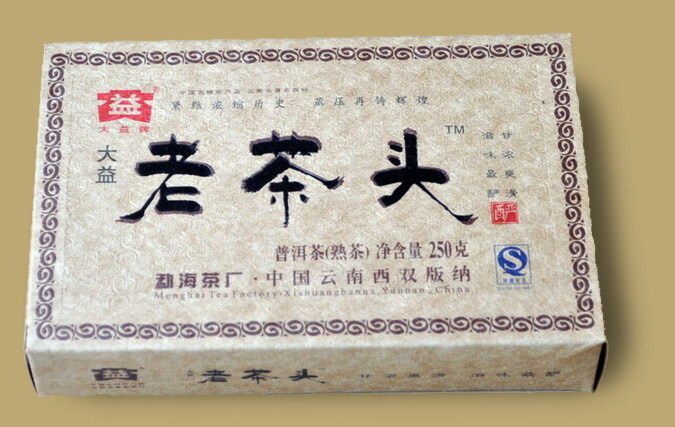 Menghai tea factory used old Cha Tou which accumulated for years and compressed them into this brick. The tea be infused many times, gives an ever-smoothening taste and never bitter, with a fair amount of sweetness.